Our goal is to ensure your project meets the highest possible standards in every aspect. From sharp, perfect images and text, to the accuracy of each order, we make sure our costumers are well take care of. We make sure all aspects of your job are correct, from quantities and colors, to shipping information and special instructions. We’re able to costumize a wide range of apparel beyond t shirts, workout appareal, sweat pants, outerwear, business wear, hats & promotional items. Reinforce your brands by having costum DTG printed tags printed on your t shirts. 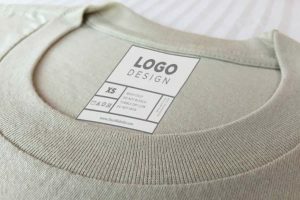 You will have the ability to add your logo/ the fabric compostion of your t shirts/ the product care instructions/ Size/ Your webiste or any other desire information. We’re capable to apply a number of different options to help ensure the success of your job, depending on your project’s specific needs. We are able to print in multiple locations. For ie: when you’re printing a t shirt you can get print your main design in the front and a second one on the back. You can add a simple or a costumize an inside neck tag with some of your business info. For a working t shirt you can place your company logo & slogan in the front and your website on some other info on the upper back, etc. Options are unlimited. blind ship in the usa & intl.